Your bathroom should be a stunning space where you are able to relax in after a long days worth. 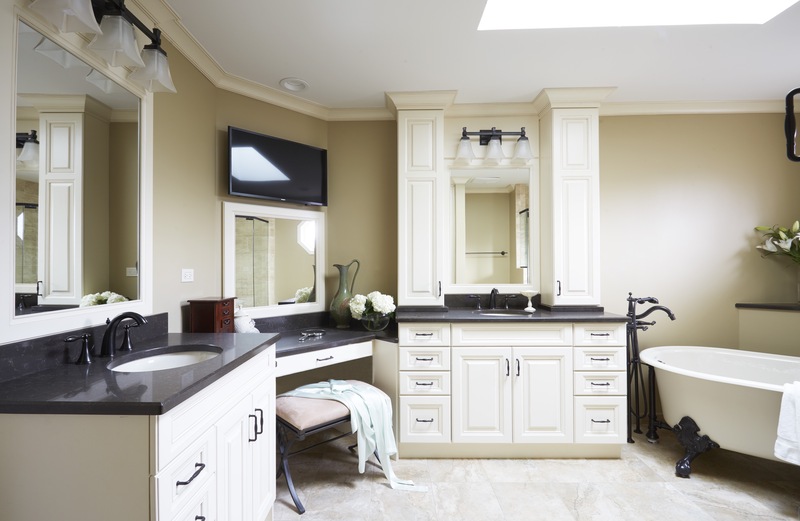 Our award-winning design team at Kitchen Village can help turn your Park Ridge bathroom into a luxurious spa with our quality products and beautiful designs. With our state-of-the-art designs you’ll never want to leave your new bathroom. Our team can’t wait to help turn your dream bathroom into a reality! We have everything you will need to bring your ideas to life. We can help with anything from a simple upgrade to a full bathroom remodel for your Park Ridge home. We have cabinetry, countertops, flooring, plumbing fixtures and hardware from which you can choose from. Stop by our show room to explore our displays, get inspired with the help of our designers, and get to know our friendly team at Kitchen Village. Remodeling your bathroom is a great way to help your return on investment (ROI) for your Park Ridge residence. A stunning new bathroom can help significantly increase the value of your home. Aside from the kitchen, the bathroom is another important decision factor when searching for a new home because the bathroom is a room that is used quite often as well. A newly remodeled bathroom will help sell your home faster, while increasing its overall value and enhancing its overall look. If you’re thinking about selling your home in the future, contact Kitchen Village and we can help with all of your remodeling services. Remodeling your bathroom gives you the opportunity to create a brand new space. You can add lots of storage space with new cabinetry for a beautiful, updated and full-functioning space. It’s important to get the most out of your space, especially when it’s small for everyday functionality. You can work side-by-side with our award-winning design team to get the perfect look that will create the most space for your bathroom. Remodeling your bathroom is also the perfect time to look for new, energy-efficient appliances. New energy-efficient appliances will increase the value of your home in Park Ridge, Illinois. Our talented design team at Kitchen Village can also help you save money by helping you choose energy-efficient appliances that will also match the overall style of your home. 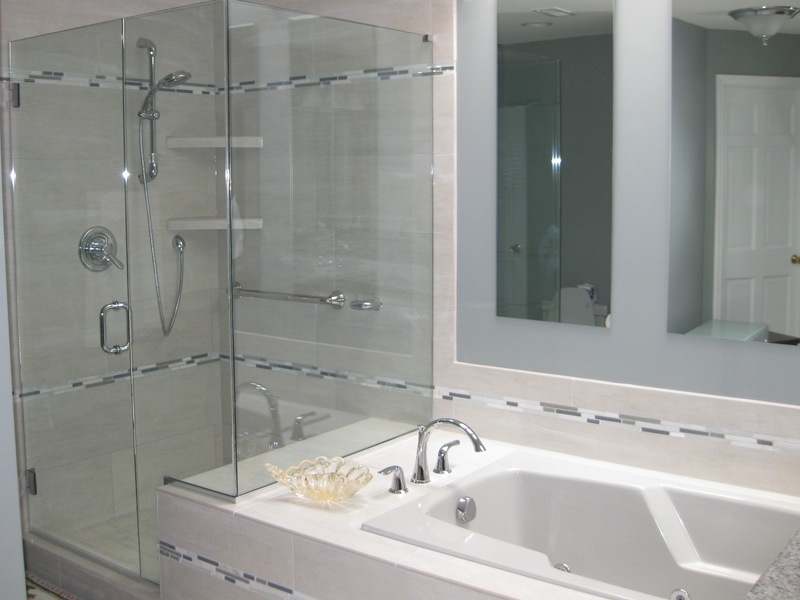 Bathroom remodeling will enhance the look of your home by making it more visually appealing. With the help from our designers and the use of our quality products, we can give your bathroom the look it deserves. Our designers can create a unique, one-of-a-kind look and make your home in Park Ridge unforgettable. Kitchen Village has worked on bathroom remodeling projects of all kinds for over 28 years. Our outstanding design team can enhance the look of your old, outdated space and transform it into a new, beautiful, updated functional bathroom for your home. We always keep your style, budget, and space in mind when remodeling your bathroom. We will go through the process step-by-step to make sure you are comfortable with the decision making process. These are just a few reasons how remodeling your bathroom is the best choice for your home. Kitchen Village is ready to help you with your next bathroom remodeling project. Please click on our gallery page to see more examples of bathrooms we have designed.